Baseball video games are hard-hitting, and this directory contains 350+ games since first introduction in 1972. 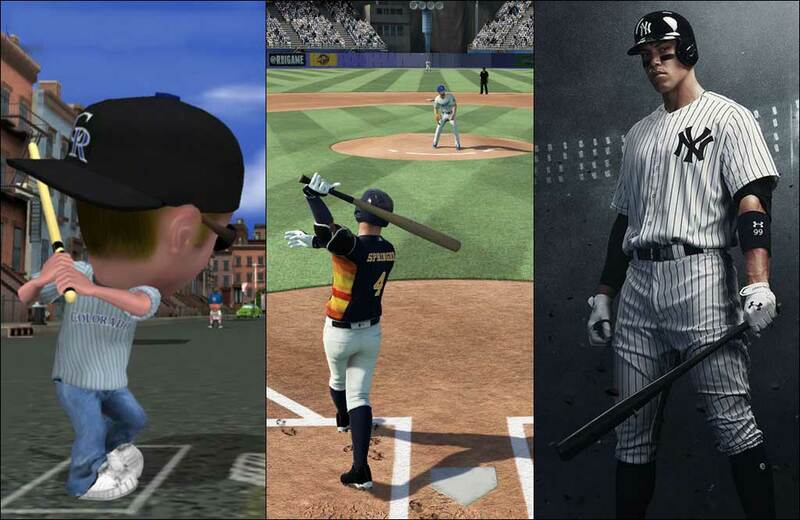 From All-Star Baseball to MLB The Show to VR Baseball. Sort alphabetically, by year, by game franchise, or search by game or athlete on the game cover. Bugs Bunny: Batter Up! 2017 Bugs Bunny: Batter Up! Cal Ripken Jr. Baseball 1992 Cal Ripken, Jr. Cal Ripken, Jr. Ultimate Baseball Online 2005 Cal Ripken, Jr.
Cal Ripken's Real Baseball 2008 Cal Ripken, Jr. Cal Ripken, Jr.
MLB Slam! 2003 MLB Slam!